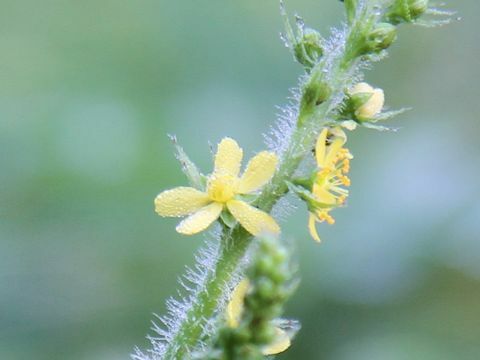 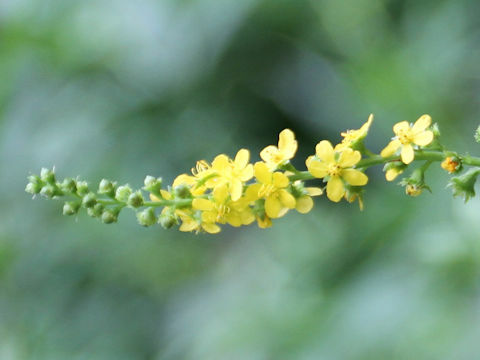 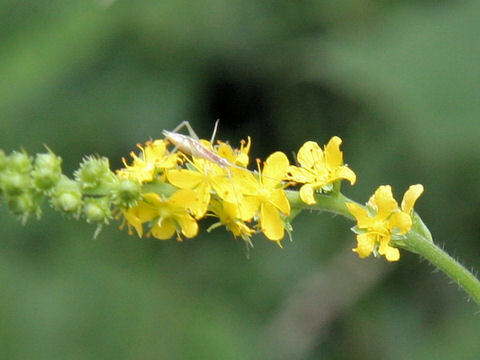 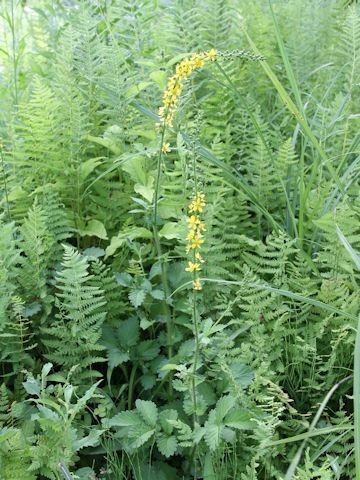 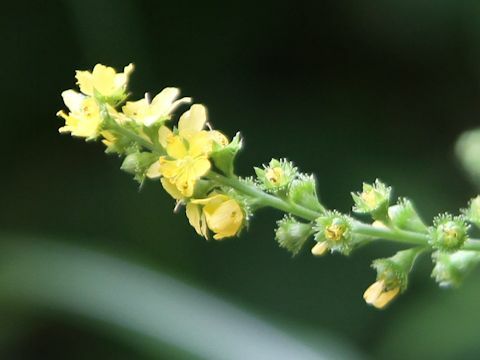 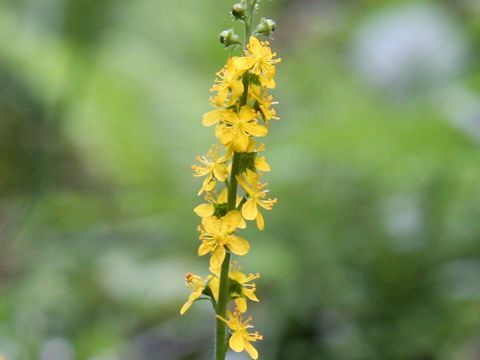 "Kin-mizuhiki" (Agrimonia pilosa var. 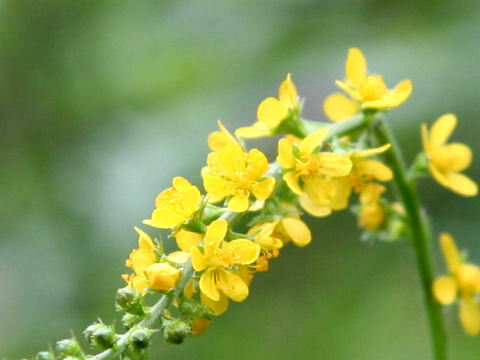 japonica) belongs to the Rosaceae (the Rose family). 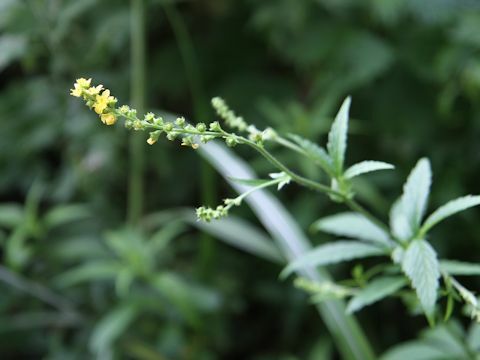 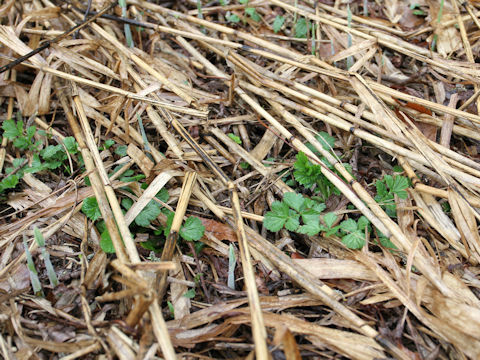 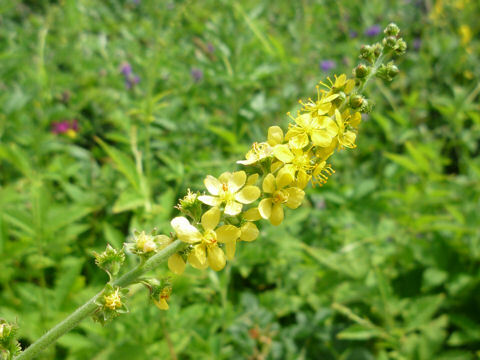 It is a perennial herb that is native to Japan, as well as the Korean Peninsula, China and the southern Kuril Islands. 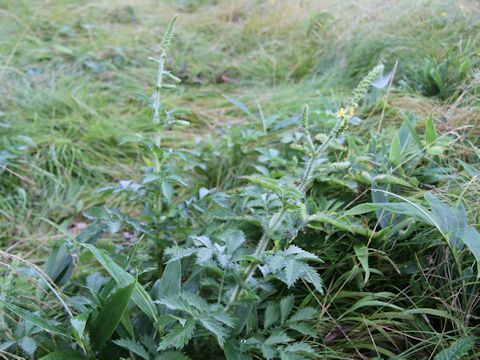 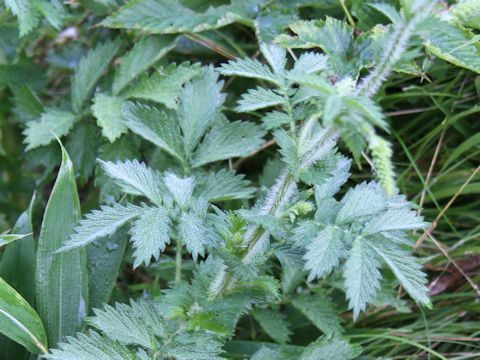 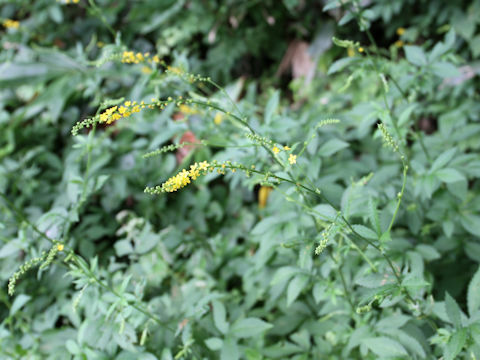 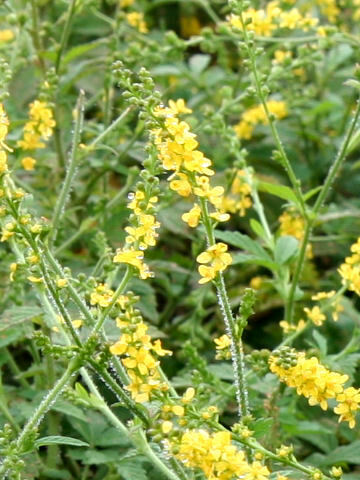 This herb grows in roadsides or grasslands and can reach 30-80 cm in height. 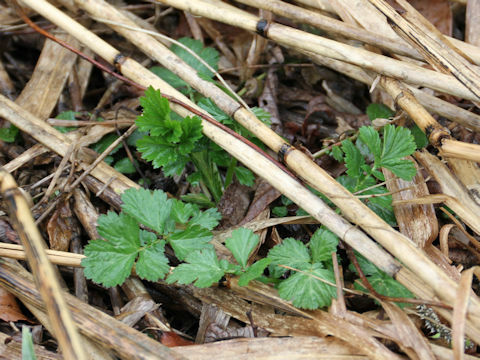 The rhizomes are thick and the stems are erect. 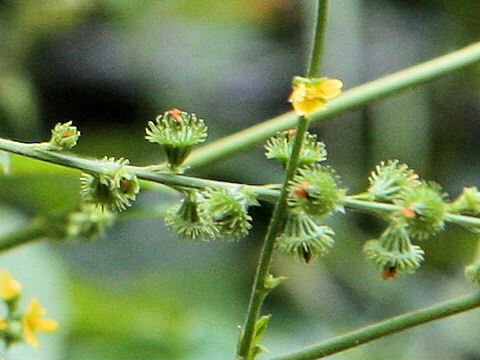 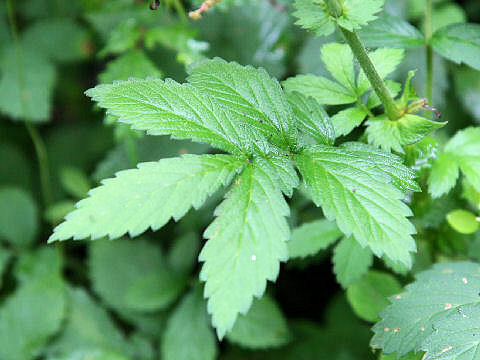 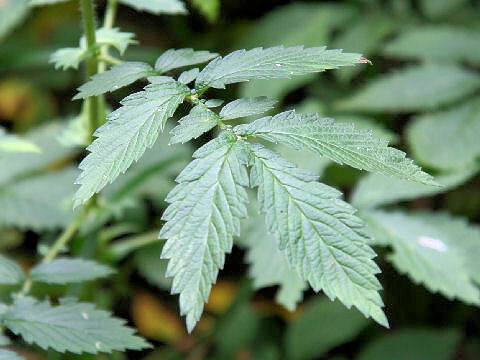 The leaves are odd-pinnate compound with 5-9 leaflets. 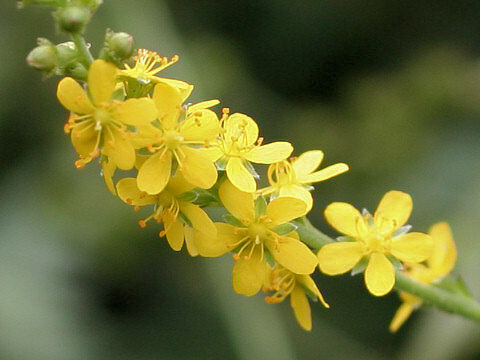 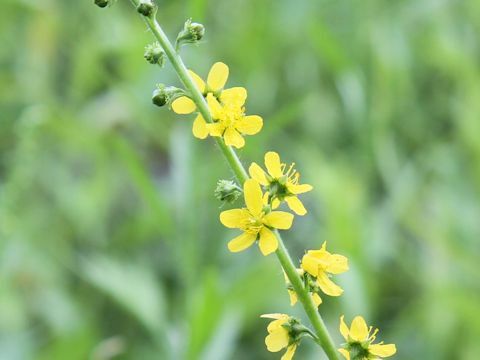 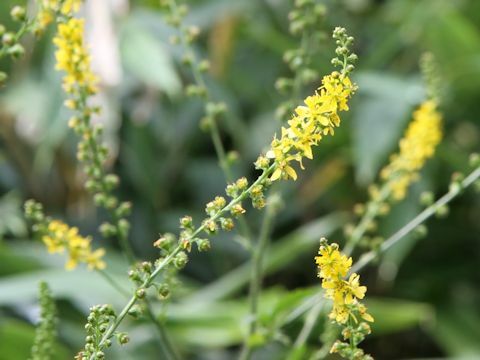 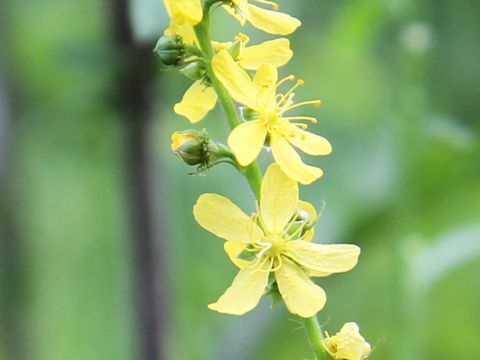 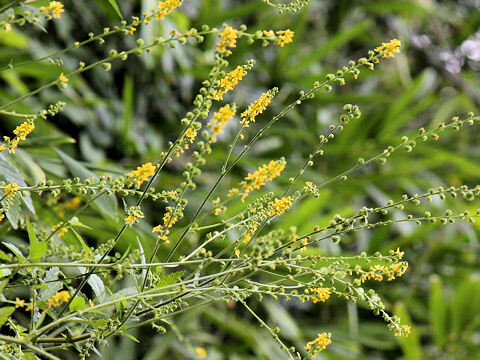 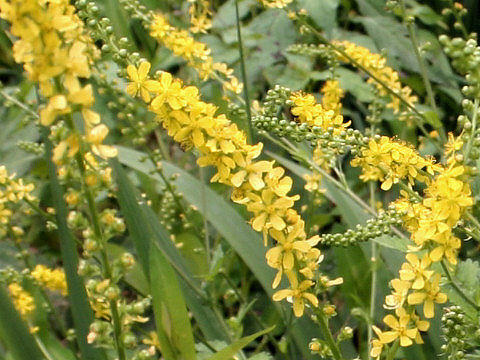 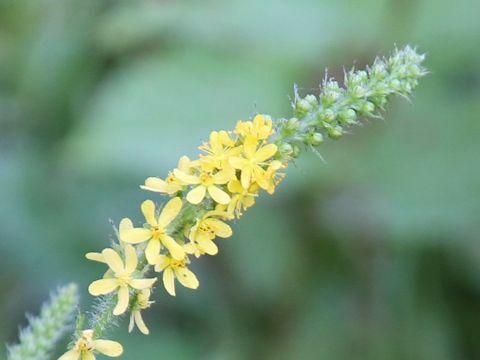 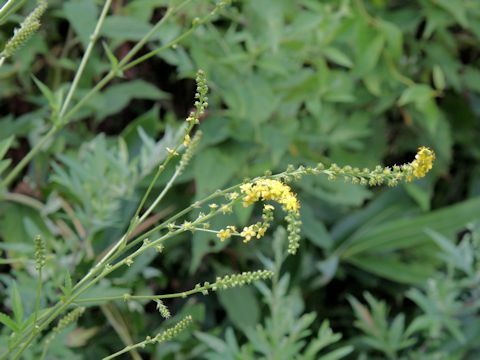 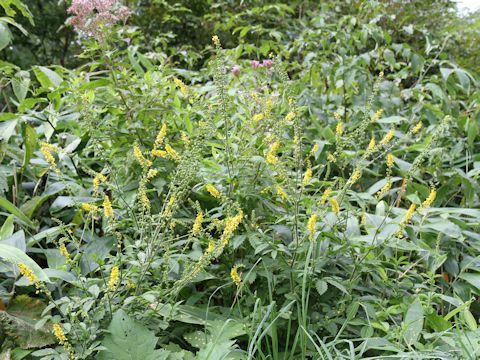 The long racemes are borne and the yellow flowers bloom from July to October.